Acupuncture has been utilized for thousands of years for the treatment of pain and inflammatory disorders. The technique is safe, sterile and performed by physiotherapists licensed to practice acupuncture in Manitoba. Physiotherapists must take extensive post graduate training and pass examinations in order to be licensed. Acupuncture is often incorporated into a patient's treatment regime providing consent is given. Although acupuncture is not completely understood, the pain modulation process is theorized to be an endorphin release through stimulation of the autonomic nervous system through topical insertion of the needles. Needles are inserted in specific "acupuncture points" which are found in distinct anatomical locations consistent from person to person. Other points known as "ahshi points" are needle insertion points often referred to as "trigger points" or areas of local hyertonicity and tenderness not always consistent from person to person. Each needle insertion point is rich in blood vessels and nerve endings. When these points are stimulated with a needle the autonomic nervous system facilitates the endorphin release. 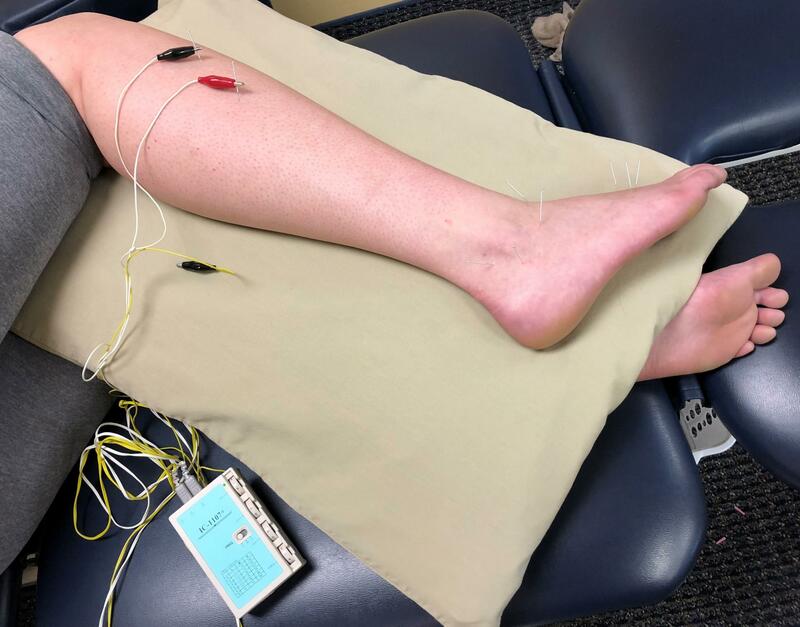 Electroacupuncture uses the same principles and pressure points as the traditional needling method, but it adds a micro current to the needle. 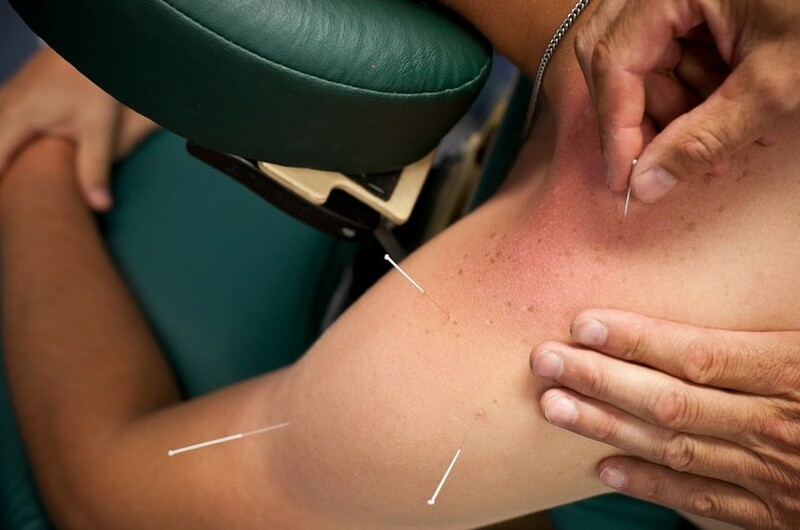 As with traditional acupuncture, needles are inserted on specific points along the body. The needles are then attached to a device that generates continuous electric pulses using small clips. These devices are used to adjust the frequency and intensity of the impulse being delivered, depending on the condition being treated. Electroacupuncture uses two needles at time so that the impulses can pass from one needle to the other. Several pairs of needles can be stimulated simultaneously.